The use of extreme caution has created another barrier to land access: the risk of disturbance due to hunting. The presence of Australasian bittern is increasingly used as a trigger for wetland closures but during the 2017 season there was a move to limit hunter access due to the endangered orange bellied parrot. Respected wildlife biologist Dr Graham Hall and Alison Cash from the University of New England answer the important question: what is disturbance and what does it mean for waterfowl management? The opening of the Victorian duck hunting season has come and gone with the usual sensationalism intended to provoke negative public interest at the expense of accuracy from various animal rights groups. But one thing that was new this year was the pre-season closure of four hunting locations because of ‘disturbance’. This got us thinking — what is disturbance and how is it measured; what is being disturbed; who or what is making the disturbance; what are the effects of disturbance; and how do we manage for disturbance? 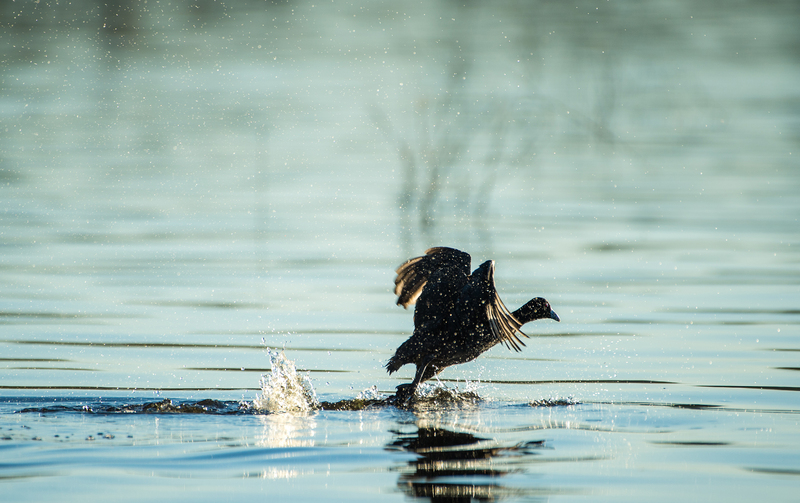 To start, we have concentrated on disturbance to waterfowl, specifically ducks, feeding and roosting during non-breeding periods; this is the usual scenario when the duck harvest occurs in south-eastern Australia. We have assumed that the disturbance that forced the closure of the four locations was caused by human activity — specifically hunting. To assume otherwise would imply the mere act of walking on to a State Game Reserve could be classed as disturbance and therefore could be used as an excuse to close all Game Reserves — an ignorant assumption. In looking at disturbance through human activities there is also another factor to consider, which is the responses shown by birds of the same, and different, species to human activities at different times and in different locations. For example, the alleged disturbances from hunting black ducks over decoys during the day may illicit different responses from spotlighting Pink-eared ducks at night from a boat. The host of variables underlying the interactions between ducks and people makes it difficult to accurately assess what is the cause and the implications of a particular recreational disturbance. This is particularly true for observational studies. Whilst these studies can establish an apparent effect between human disturbance and a response from the birds, it is not possible to establish whether human disturbance adds to or replaces natural disturbance such as would occur from birds of prey. Furthermore, the magnitude of the disturbance may be from collective effects of more than one activity. For example, in the UK waterfowl numbers and usage of a wetland were affected more by hunting, plus the presence of people engaged in other wetland-based activities, rather than just hunting alone. In a Victorian context, hunting plus protesters on a wetland may have a greater effect on disturbing ducks than either hunting or protesters alone! Most overseas studies on disturbance have relied on observational or semi experimental ways of recording disturbance and so cannot easily be used to determine the extent of any impact of human disturbance on the birds. Conversely, it is just as difficult to demonstrate there is no impact on ducks from a particular activity, so a worthwhile recommendation is that any future research should concentrate on more experimental field manipulations and adaptive management as a way of controlling for the many variables. However, known general features of duck ecology and population dynamics do help by providing a framework in which to judge disturbance effects. For example, many studies in the USA and the UK have shown that birds concentrate where feeding is best, and birds forced to move away from these places by disturbance have an increased risk of changes to their energy balance. The severity of any changes to a bird’s energy balance will vary in complex ways such as whether there are alternative feeding sites nearby, whether the birds are breeding and nesting at the time of the disturbance, or whether the birds moving are adult or juveniles. Disturbance in itself does not always imply a serious problem to the birds in the short term. This is because ducks can compensate for disruptions to their natural behaviour in various ways. For example, some species and individuals do not always feed at the same time, sothese birds can compensate for time lost through disturbance by feeding at other times or feeding for longer when the disturbance has stopped. Hence even apparently high rates of disturbance to feeding does not automatically lead to major reductions in food intake or usage of feeding areas. Comparative understanding of the significance of disturbance to ducks depends on understanding whether the birds have a buffering capacity before facing a reduced energy balance, and so potentially reduced survival. Another lesson to be learnt from using waterfowl ecology and population dynamics to underpin an understanding of disturbance is the need to distinguish between effect and impact, and whether it is individuals or populations that are affected. Many studies report local effects on some individuals, but it is much harder to detect whether such changes have such an impact on waterfowl populations that the entire regional population declines. Also, Australian ducks are very nomadic so any effect of disturbance at a local level may have its impact many thousands of kilometres away. Who is most disturbed, by whom, where and when? Human disturbance adds to a background of disturbance from natural causes, such as birds of prey forcing birds to abandon feeding grounds. 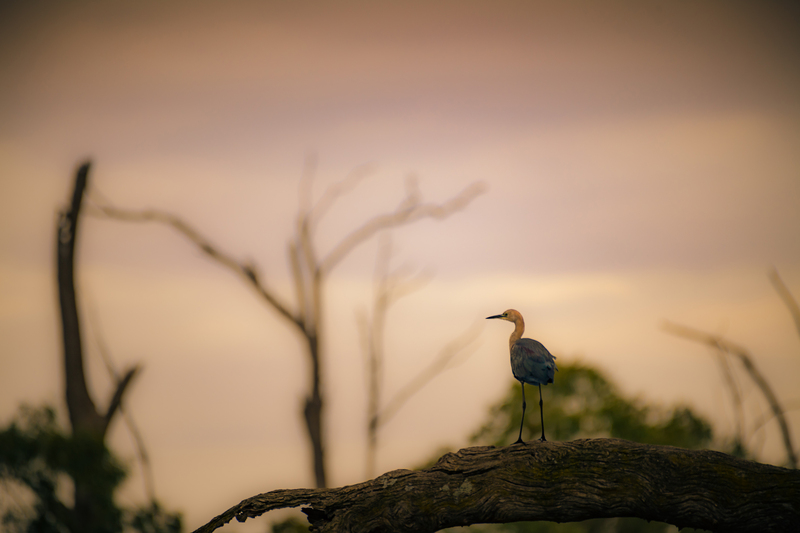 The effects of additional disturbance may be serious at those times when birds are having difficulties in finding sufficient food, such as during droughts and low water levels. These are times when birds are close to the limit of their energy balance, and energy demands rise whilst searching for food. Even without additional disturbance some duck species regularly have increased mortality during these stressful times. There are general relationships between who and what causes disturbance to waterfowl. Several studies have shown that the most widespread and long lasting disturbance often comes from aircraft, and that the slower the aircraft, the worse the disturbance. In an Australian sense this finding is very ironic given that government agencies rely so heavily on data from the Eastern Australian aerial waterfowl counts for their knowledge of waterfowl abundance and distribution. Overseas studies imply that flying over a wetland at 150 knots at 30 m as a part of the Eastern Australian aerial waterfowl counts is causing greater disturbance than hunting, and certainly causing greater disturbance than flying at 60 m at a forward speed of 4m/second in a drone as established by this university in 2015. On some wetlands people and animals (especially dogs) can create worse disturbance than people who stay in one place for some time. For hunters and protesters alike this is a problem. Hunters usually hunt waterfowl over decoys and stay in the one place and allow the birds to come within shooting range. But once the bird has been shot it is often recovered by a retrieving dog or the hunter breaking cover to retrieve the bird. In a similar fashion the activities of the protesters in moving around the wetlands close to roosting ducks and waving flags and using whistles may place more stress on the ducks more than if they did not engage in these activities. Hunters and protesters approaching from the water seem to generally disturb ducks more than approaching from the land. A widespread assessment of human disturbance to ducks suggest that conflict is not a major issue because the birds can fly elsewhere to avoid the disturbance. However, the real situation is often more complex than theory. The size of the area being disturbed may affect the level of disturbance — on small wetlands there may be few alternative locations available for the birds moving away and it only takes a few disturbances in different places to make the whole area unsuitable for some species. The type and scale of response by different species to disturbance is also variable. Even individual birds of the same species can react in different ways at different times of their annual cycle and on different wetlands. We have all seen how Mountain ducks are very alert when people walk towards them, and Wood ducks standing on the bank of a farm dam will usually alight on the water when people advance in their direction. Pink-eared ducks and Grey teal usually take to the wing when they feel disturbed. Although there are many instances where waterfowl and people appear to co exist with few or no damaging impacts, there are also many examples where effects and impacts of varying severity have been described. Curiously, our searches have found none of these examples in the scientific literature from Australia, but perhaps that says more about the lack of research on waterfowl in this country than it does about disturbance! Clearly people’s recreational and other activities around wetlands can and do lead to disturbance with often unintended consequences. Our guiding principle for management of human activities in areas that support important waterfowl populations would be to limit the overlap between people and waterfowl in time and space. Such a principle occurs now in Australia through wildlife legislation and policy, recognising the need for conservation measures for birds whilst also acknowledging legitimate human uses, such as hunting. Agreements of this nature recognise the need for information on the pattern and distribution of potentially disturbing activities on waterfowl populations, rather than individual species, wetlands or human activities. The need for population-scale experimental studies is why the closure of the Victorian wetlands in 2017 for alleged disturbance was troubling. What credible evidence was there that hunting would disturb the birds, what measurements were taken to document any disturbance, and what lessons were learnt so as to avoid similar issues in the future? On all questions the available evidence is that there was no evidence and the Game Management Authority has learnt nothing by recommending such closures. Continuing to integrate the different human uses of a wetland with the conservation of nomadic waterfowl populations is one of the keys to achieving successful adaptive management. Such integration can be achieved in a variety of inclusive ways. For example, through education and the provision of information, and through voluntary and statutory agreements and designated hunting zones. There is little doubt that non-hunting refuges are important, and this is recognised by hunters and managers alike. However, implementing the best approach to minimising disturbance to waterfowl in each wetland depends on a better understanding of the behaviour of both birds and people. In this context, closing a wetland because of disturbance achieves nothing unless we learn from the experience and adapt our management in the future, based on what was learnt from the closure. Accordingly, we suggest that more effort is required to achieve an understanding of fluctuations in waterfowl populations at individual wetlands and within different regions. We also encourage an increased use of on-going scientific studies on populations, in contrast to the current observational studies or hands-off approach to waterfowl. Only by examining the full geographical range of a species and the factors influencing its distribution and survival will we be able to begin to answer some of the questions around disturbance.